After living in Iceland for the past 11 years, it was time for Heidi and her son to finally come back home to Portland and be near her mother and sister. "Options Financial came highly recommended by a friend who works in the home loan industry. When we reached out to Options my husband and I weren't sure that we were in a good position to buy, but we wanted to see what we pre-qualified for. Instead of putting all of our eggs in one basket we initially chose to partner with two lenders simultaneously to see which worked best for us. Options Financial blew their competitor out of the water. The difference in our experience between the two was night and day. Options had us pre-approved within a couple of days of our first conversation, and they were already working on a credit approval for us that week. What initially seemed like a distant possibility became something tangible for us, and we quickly began the search for our new home. Options set us up with an amazing smartphone app that allowed us to enter in the key info for each property (along with loan/interest options) to see what our estimated mortgage payment would be. It also gave us the ability to print a pre-approval letter for any property that we put an offer on. This made things quick and easy when we were ready to make an offer! We were in contract on our home before our credit approval even had a chance to clear, and we decided to go with Options as our lender. They offered us loan options that were never mentioned by the other lender, options that fit our family's needs perfectly. Their diligence in preparing us for the underwriting process helped to expedite our final loan approval. From the beginning their performance was impeccable, and they continued to impress us as we worked with them through each new step in the process.The response time with Options Financial was lightning fast. There were 4 people assigned to our account, and they were all incredibly attentive and personable. It was easy to tell that they were each genuinely invested in helping us make the right decisions for our family. Joel always made time to meet with us over the phone (we live out of state). He made sure that all of our questions were immediately and thoroughly addressed, and he patiently worked with us to make sure that we understood every step of the process. Options is all about empowering their clients by giving them all the information they need to make the best decision possible, instead of putting them in a position where they must 'blindly trust' what they've been told. 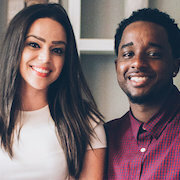 My husband and I came into this with no real understanding of the process or what would be required of us, and we never felt overwhelmed or uncomfortable because the options team consistently invested their time in educating us. We were always encouraged, never spoken down to. Options Financial was by far the BEST part of our first experience in buying a home. When we closed on our home (a little over two months after we contacted Options) it was truly bittersweet. We are so happy to be homeowners, but we really did enjoy our time working with them! We have built a relationship with the Options team that I know we will maintain for years to come. Please, if you are considering home ownership, get in touch with them. I cannot imagine that any other lender will be able to provide the caliber of service that Options consistently offers their clients. If you are a Realtor, do your clients a huge favor and send them to Options!" "We had an amazing home buying experience with this group. Thank you to everyone else who made this possible for us! It was a seamless process. Communication was on point on all levels. We appreciate your kindness and helpfulness so much. We highly recommend Options Financial for your next home purchase!" 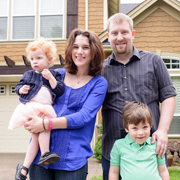 Their WHY: Sean and Mary wanted a bigger home. A ‘forever’ home to support their growing family. "Reviews don't do this organization any justice. They are, simply, the best communicators and experts in the business. Period." "They were great! They took the time to go over everything with me so I felt very comfortable with my first home purchase. I will definitely use them again in the future." "Joel and Options Financial were extremely helpful helping my wife and I plan, refinance, and meet our needs. They went above and beyond and were extremely helpful through the process, highly recommend!" "Above and beyond service unlike anything I have ever experienced." 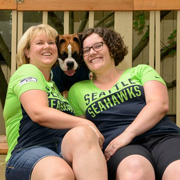 "Options Financial allowed us to achieve something we thought would be years in the making. Joel took the time to meet with us, evaluate our timing, & effectively apply his understanding of the market and the available tools to what we wanted to do. The Options team is thorough and will really listen to the customer in order to serve you in the most effective was possible. MANY thanks to Options Financial for the personal & professional service!" "We have been waving the Joel Morgan flag since our first meeting with [him], and will continue to promote [Joel] within our networks. [Joel] navigated a complicated and sometimes rugged trail to get us into our dream home, and even served as our tour guide along the way. [His] availability, thorough and patient explanations, and sage counsel made us feel as though we were [his] only clients. Thank you for everything and we look forward to seeing you at our open house/centennial party in July (date TBD)." "Joel and his team are fantastic. We have purchased two homes and refinanced with them. They make the complicated home buying process easier." "Using Options Financial was the easiest and best experience we have had. I would recommend them to all my family and friends!" "Joel and Juliane are fantastic. They communicated clearly, and kept us up to date on the process. They were working FOR us. The process was smooth. If you are lookong for your first mortgage or a re-fi, come here." "She truly investes time into our family’s success. Nicole by far exceeded our expectations in this home buying experience. When we first began this journey with Nicole before she ran any numbers, credit scores or financial information she took the time to travel to our home city to meet us. This speaks volumes! She is whole heartedly there and sees you as a human rather that just a dollar sign (we ran into this with other lenders). We couldnt have asked for a more compassionate, knowledgeable, problem solving, go getter! We are extremely blessed to have Nicole on our team!!" "I highly recommend Nicole she is totally on top of everything! She keeps you well informed as you go through the process! Which through our process I totally appreciated! She’s there to answer any questions you have! She goes above and beyond! Infact when the time comes to purchase another home we will use her again!" "Fantastic knowledge, communication and service! Joel and the Options Financial team are amazing. Joel listened to our needs, gave professional advice, and offered appropriate options. We were pleasantly surprised by the excellent communication throughout the entire process. When we encountered challenges, Joel’s team kept us informed, advocated for us, and kept a positive and encouraging perspective. We received the great financing we needed with professional and gracious service. Thank you Joel Morgan and team!" "Wonderful! Joel was extremely professional and responsive throughout the entire process. Communication was quick and easy. I appreciated the convenience of being able to do work with him online for quicker service." "Education Based Options. Joel and his team were great to work with. I sought loans twice through Options Financial and the first time, he helped me see why refinancing was not the best option at that point in my life. When finally I was ready to refinance, we were able to secure a loan quickly, with a low interest rate. I commend Options Financial for creating educated home buyers and only working with clients who would truly benefit from their service." "Very knowledgeable guide in navigating the mortgage world. Joel and his team were great to work with during the refinancing of our home. We had some tight timelines in which it needed to be done and they were very accommodating in speeding up the steps they had control over. Additionally, they made the process very easy by being able to fill out forms and supply documentation all online – which is a lifesaver for my family with three young kids (never had to take the kids into an office or get a sitter). They were very proactive and knowledgeable and always willing to take the time to help educate me on any questions I had. I would definitely recommend Joel!" "Easy, stress free refinance! Joel and his team were focused and professional. Within hours of contacting them, they had shared a Dropbox folder with my wife and I so that application documents could be uploaded and shared. They helped us schedule our appraisal with a certified professional and talked us through every step of the process that followed. We couldn’t believe how smooth the refinance went from there. My wife and I were very happy with the rate Joel was able to lock and we were even more excited to see cash back at closing! I highly recommend Joel and his team if you are looking to refinance quickly as rates rise!" "Great at making sure I understood my options! Joel helped my hubby and I buy our first home in 2013 and helped us refinance in 2016 when rates dropped. We were able to shorten our term, drop our PMI, lower our rate and payment. He kept me informed along the way and managed everything proactively for on on time closing. I referred my parents to him for a refinance, too!" "Joel Morgan = Fantastic. After a great experience buying my home with Options Financial, it seemed natural to return to them to refinance when the time was right. Joel and his team go above and beyond. Personable, informative, and hard working, these folks were tireless as they guided me through the process. I feel grateful that I found Joel Morgan– and will miss working with him and his team." 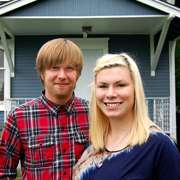 "Options Financial recently helped us purchase a new home. The process was seamless and Joel and his team did an awesome job. There are always issues, paperwork, added items that get thrown in last minute when getting a mortgage, especially if you are self employed. Joel & his team were on top of those changes and explained the process along the way, almost like they had ESP!I would highly recommend Joel & Options Financial! Top notch all the way!" "[Michelle Joslin] explained a dry, very complicated subject to me with great patience and detail. 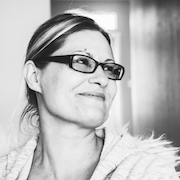 I really enjoyed talking to [her], and feel much more confident in approaching the process of buying a house." "Options Financial makes the complicated mortgage process easy. They clearly explain everything to you and make sure you are kept up to date on any changes. We first used their services two years ago to buy a house that was currently under construction and just refinanced now that there have been some FHA changes in our favor. As always there were some hiccups along the way, so having a partner like Options was extremely valuable. Most of our contact was with Joel and Michelle. They are both very knowledgeable, friendly, patient, and prompt. I highly recommend them!" "Joel Morgan is an incredible guy!! His staff his high class and was a pleasure to work with! I would recommend this company to any person looking to buy a home! Thanks Joel for an awesome experience!" "This team is amazing! Options took care of us throughout the whole house-buying process. We had no idea what we were doing and they took the time to explain things clearly and make sure we knew what each document meant. They moved quickly and efficiently, which is exactly what you want when purchasing a home! We even had special circumstances that they worked with and got us the best option possible. I am so grateful for this team and the very hard work they pulled off for our home purchase. Wonderful company!" "The group of people at Options Financial have been incredibly informative, transparent, and speedy throughout my home buying and refinancing processes. Whether you've never bought a home before, or you're working on your 5th, I'd highly recommend the professionals at Options Financial. They're skilled communicators, and you can count on them." "Options Financial has helped me more than once. First with the initial house buying process and again with a refinance. They are patient, clear, concise, and consistent. Anytime I had a question, they either emailed me back immediately or gave me a call to ensure clarification. There is a lot of paperwork involved with buying a house, but they kept everything organized and helped to make sure I was providing all of the information necessary to get through as quickly as possible. I absolutely appreciate their effort and experience!" "I used Options for my original home purchase and now my refinance. They are always very kind, knowledgeable, quick and efficient. I refer all of my friends and family to the Options team and I know I'll be back for all my future needs." "My Realtor recommended Options Financial when I started looking for my first house a few months ago. From our first meeting all the way until after I closed, every single interaction with them was amazing. They were prompt, courteous, professional and they made me feel like I was the only client they were dealing with. They also had some kind of magic that all owed them to explain the process and paperwork in such a way that it satisfied my desire to know all the details, yet was simple enough for me to fully understand. They made my home buying process an enjoyable experience, and I would definitely use them again." "We had a great experience with Options Financial. They were informative, communicated frequently, and really partnered with us on our refinance. They were great to work with, highly recommend!" "As first time home buyers the whole process seemed overwhelming and exciting all at the same time. The team at Options Financial Residential Mortgage have been instrumental not only in giving us the best advice and invaluable guidance, but making sure that all the documents were done in a timely and efficient manner to ensure that all the deadlines were met. They were tireless in their efforts to make the home buying process as easy and smooth as possible, answering all of our many questions no matter how silly or repetitive. We are especially grateful to Michelle Joslin (formerly Michelle Marlo) for going above and beyond the call of duty to answer some of our most pressing questions while at home on maternity leave. In her absence, we had the good fortune of working with Rebekah Sanner and Joel Morgan who continued the same excellent level of dedication and superior customer service. We absolutely love our home and we highly recommend the team at Options Financial Residential Mortgage to anyone who wishes to purchase a home. We definitely look forward to working with them in the future!" "By far this was my best and easiest house buying experience. I would recommend these ladies to anyone. Thanks again!" "They ROCK! We just learned today that our loan closed, and it was all due to the hard work put in. They were a fantastic help from the first call back to the final closing. For me, communication is the key to any successful project, and this team was top shelf. Like any business process, there are sometimes issues that pop up that you don't expect, but they were on top of every detail and provided options when necessary, answers when asked and solutions where required. I can't say enough how excited we are about a life changing experience like buying a new home, and they made the process painless. ROCK ON!" "I can't say enough how touched I am by the personal attention Joel and Tara offered our family during our refinance. Through sickness and health, lol I would absolutely recommend Options Financial to any family member or friend looking to purchase or refinance. Thank you!! The Rogers Family." "I just wanted to say that you all are a great company, & Joel is a very knowledgeable man. When I was getting ready to take my Loan Originator Test I use to watch the Morgan Minute videos to comprehend the complex info I was learning in the books. I love how Joel simplified things. I became such a fan that I referred a Facebook friend to him. Her name is Ashley Mattson. 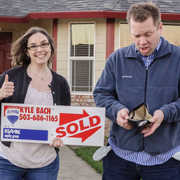 They just bought their home, & they said that the experience was wonderful! If I lived in Portland, I'd go apply with you all in a heartbeat! Anyway, just wanted to say keep up the fantastic work! If you all ever move the franchise to Texas, let me know!" "I know Joel Morgan is a special person. I knew him as a chemistry teacher for my daughter at Southridge High School. Years later we met again, I was his personal trainer for more than a year, we made awesome progress due to his solid athletic background (Portland State, linebacker) and amazing work ethic. As a result of his personal characteristics and the timing of the market his achievements were totally predictable." "Joel Morgan and his team went above and beyond to help me secure my loan. I was in excellent hands during the entire process! Everyone on the team was extremely responsive, knowledgeable and professional. I know that Joel fought hard to push everything through in a timely manner. He was in constant contact with me, providing updates at all hours of the day. I felt he got to know me as a person, not just some numbers and a credit report on paper. As usual, there can be snags during the process, and I experienced a few, but he was on top of them and truly fought for me and my loan. I only have praise for Options Financial and would recommend them to anyone in a heartbeat." "We just received the news that our home closed today. We are very happy with the service and professionalism we experienced with Options Financial. They did a fantastic job of digging through all the requirements and getting all necessary forms completed and signed on time. The communication with us was great, and they kept us informed of what we need to do to keep the process flowing. This team is a true grand slam!" "My friends bought a house and got it financed through here and my buddy is a Realtor and loves to send them all his clients. When it's time for me to buy another house or refinance mine, this is where I'll be going just from the feedback I've heard!" "Great team to know and do business with! If anyone is interested in any mortgage needs, this is definitely the place to go if you want to feel confident about the options you're making and in."